Doré, Yvon. "Isabelle Brasseur and Lloyd Eisler". The Canadian Encyclopedia, 09 October 2015, Historica Canada. https://www.thecanadianencyclopedia.ca/en/article/isabelle-brasseur-and-lloyd-eisler. Accessed 20 April 2019. Isabelle Brasseur (b at Kingsbury, Qué, 28 July 1970) and Lloyd Eisler (b at Seaforth, Ont, 28 April 1963), skaters. Partners since January 1987, they went on to win 28 medals during their eight years in the amateur ranks. Isabelle Brasseur (b at Kingsbury, Qué, 28 July 1970) and Lloyd Eisler (b at Seaforth, Ont, 28 April 1963), skaters. Partners since January 1987, they went on to win 28 medals during their eight years in the amateur ranks. They were five-time Canadian pairs champions and silver medallists at the world championships in 1990 and 1991, earning bronze in 1992. However, 1993 was their year: they became the first Canadians since Barbara Underhill and Paul Martini (1984) to win the world championships. They turned professional after winning silver at the world championships in 1994. 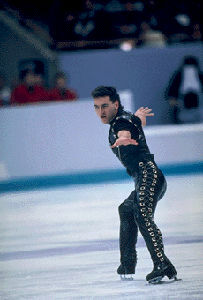 They took part in three Olympic Games, finishing 8th in 1988 in Calgary and winning bronze in both 1992 in Albertville and 1994 in Lillehammer, one of the closest competitions in the history of Olympic figure skating. They became professionals after the 1994 Olympics and skated in several tours of champions in Canada and the United States. They were elected to Canada's Sports Hall of Fame in 1996.